Great Take a Hero Fishing Tournament!!!!! Friday afternoon at 1pm the THERAPY-IV - 45 year Miami deepsea fishing charter - docked at Lauderdale Marina with 6 NAVY men on board. They were buzzing about the morning they spent on board. As the crew secured the fishing yacht, the boys jumped off and discussed the fish they all caught. Each man reeled in a deep sea fishing monster. With the smiles and cheerful conversation continuing, the men boarded the vessel. Speaking with a couple of them I was able to get a feel for their morning adventure. One of the sailors, “This was the best time I have had since joining the NAVY”. Another NAVY man responds, “This is the best time I have had in my life”. The men gathered for pictures with the crew and waited for the prize catches to come out of the ice box. With each fish the sailors cheer grew louder and louder. The Amberjack has a reputation for an intense fight on the lines. It was well-suited that the sailors were fishing for the well-known sportfish. Every ‘jack’ that came out of the icebox was bigger than the fish before it. The men were riddled with enthusiasm. The talk now turned to the weigh-in that was taking place 30 yards from the THERAPY-IV. Walking over with supreme confidence, the sailors carried their catch to the scale. Excitement filled the air as fish after fish was heavier than the last. The winner aboard the THERAPY-IV weighed in at 44 lbs. Nonetheless, everyone was a winner that day and speaking with Captain Stan afterwards he was thrilled that the men were able to have a day like Friday. “It is 100% about the sailors”, “it is all about showing them a good time” the Captain kept repeating. As we were all leaving, the Captain said he was off to make CD’s of the days trip to give to the sailors that night at the fleet week party. The tournament was an amazing end to an amazing Fleet Week. If you want to visit The THERAPY-IV for a deep sea fishing excursion, just stop by Haulover Marina in Miami Beach for a once-in-a-lifetime experience. With the Take a Hero Fishing tournament set to begin tomorrow. The THERAPY-IV Miami Beach fishing yacht will be among the fleet of charters taking sailors fishing for the day. Captain Stan Saffan is well-known for his acts of generosity and philanthropy. Both THERAPY-IV. yachts have a painting of the Special Forces insignia on the stern of the vessel. Captain Stan has planted palm trees in Haulover Marina, Painted an American flag on the welcome signs to the park, Mounted fish on the welcome sign to the marina and many other acts of kindness over the years. The Take a Hero Fishing Tournament is no different. Not only has Captain Stan volunteered his vessel for the tournament, but he will provide food and beverage for the sailors amongst other pleasantries. That was not enough for Stan to show his appreciation for our military. Captain Stan called his friends at GrayTaxidermy and convinced them of his cause. Gray Taxidermy and Captain Ian Hall have agreed to donate a trophy-fish for the largest edible fish caught during the tournament tomorrow. Writing this blog for Captain Stan, the hard part is putting into words his attitude towards philanthropy. He does not see it as a burden or an annoyance to donate his boat, not to mention his gas, crew and other expenses to show our military a good time during fleet week. In fact, being around him a lot, you get the sense that he looks forward to doing things for other people. Stan is one of those rare people that is unselfish with his resources and looks forward to being able to brighten the lives of those around him. I personally can’t wait to see the boat as it comes back into Lauderdale Marina tomorrow and all the fun the sailors and crew have had at sea aboard the THERAPY-IV. Pay attention to the next couple of blogs which will be about their adventures as the Therapy 4 continues to make dreams come true! Have you ever heard ‘A birthday to remember’? Most birthday’s pass with small family get together or a nice dinner out. Those birthdays are wonderful memories but they can blend into history as ‘just another year in the books’. Aboard the Therapy 4 fishing yacht, there is no such thing as ‘just another year’, ‘just another day’, or ‘just another trip’. When you go fishing with the experienced Captains of the Therapy 4 fleet for the ultimate big game fishing Miami thrills, you may be battling a 1,000 pound shark or a strikingly beautiful sailfish. Let’s go over the reasons to spend a birthday on the Therapy 4. The Number 1 reason is you will always get to say ‘remember that birthday we spent fishing for deep sea fishing monsters’. The Number 2 reason is to refer to the number 1 reason. Number 3 is that Captain Stan and the crew takes pictures for you as you return to the dock with your trophy catch. Number 4 is the actual vessels themselves, both Therapy 4 yachts have indoor bars, beautiful indoor carpet, kitchen, bathrooms and a bedroom. Lastly, you can’t put a price on experience; Captain Stan has been commanding fishing yachts out of Haulover Marina for 45 years and counting. Celebrating your birthday is about marking a day out of the year to commend your efforts in life. Make your next birthday one you will always remember and book the Therapy 4 for a ½ day or full day charter. Call and speak to Captain Stan personally! Review sites have become an absolute go-to for those looking for a good deep sea fishing excursion. And, as we’ve been stating on Deep Sea Chronicles for months now – THERAPY-IV is the best choice. Don’t take our word for it –TripAdvisor.com and other review sites rank THERAPY-IV as the top Miami deep sea fishing charter. TripAdvisor has a total of 92 reviews as of this blog with over 95% of them giving THERAPY-IV an “Excellent” ranking (which is the highest available. This in-turn provides THERAPY-IV with the ultimate five-star rating with TripAdvisor.com. Don’t miss your opportunity to have a once-in-a-lifetime experience on the THERAPY-IV as so many have had and shown their love the THERAPY-IV TripAdvisor.com listing. The 23rd annual Fleet Week will honor the War of 1812. Over 2,500 sailors, marines, coast guard, royal Canadian and German marines will participate. The Navy has begun a 3 year campaign to commemorate the bicentennial of the War of 1812. The Navy has recently inundated the American Public with informative literature about past battles fought and the importance of the Navy. A recent poll has shown that most Americans rank the Navy above the Coast Guard in National Defense importance and far behind the Army, Marines and Air Force. According to Navy Secretary Ray Mabus “We're doing about the exact same things today that we were doing 200 years ago — protecting freedom of the seas”. The Therapy 4 fishing yacht has been a stellar example of patriotism for over 45 years. Located in Haulover Marina, Captain Stan has a painted logo for Special Forces on the side of both of his boats. Also, this is Stan’s 2nd year volunteering his crew for the “Take a Hero Fishing Tournament” that sails out of Lauderdale Marina in Fort Lauderdale. The Therapy 4 will be taking 2 navy sailors fishing for 5 hours on Friday the 27th of April to honor them for their service to our country. If you are in for fleet week and would like to go on a Miami deep sea fishing excursion - stop by the Hualover Marina for a half-day trip on The THERAPY-IV. There are a good amount of marinas in Miami Beach and scores of marinas in South Florida. But certain marinas specialize in specific marine activities. 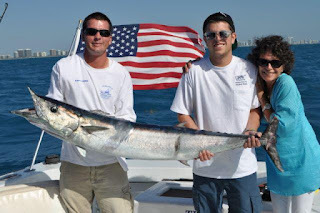 Haulover Marina fishing is widely considered the best marina for deep sea fishing. Not only are they ideally located, only minutes from waters that classify as deep sea. 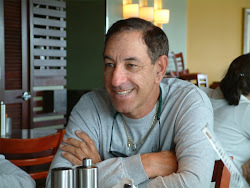 The premier deep sea fishing yachts in Haulover Marina belong to Captain Stan’s THERAPY-IV fleet. The THERAPY-IV deep sea fishing excursions have been around for 45 years at the Haulover docks and offer a high quality deep sea fishing experience. The THERAPY-IV consists of two high quality sport fishing yachts. The flagship is a 58-foot boat with indoor bar, flat screen television and lots of other amenities. This particular boat is crewed by experts who always seem to bring by big game fish. The THERAPY-IV is known for being particularly keen on catching marlin, sailfish, tarpon, sharks and more. The THERAPY-IV is also known for being particularly popular for bachelor parties and trips with military personnel. Bachelor parties work perfectly with the six-hour day trips for quality deep sea fishing. In addition to getting to go on an amazing boat with friends for half-a-day, you get to fish for some of the most magnificent marine creatures in South Florida. The pictures and souvenirs promise for a perfect bachelor party experience. Military personnel frequent The THERAPY-IV as well. Retired and active duty service people have chosen to go out on The THERAPY-IV during fleet week and on a popular military show on the Sportsman Channel “Coming Home with Greg Stube”. Haulover Marina is the prime location for people looking for a good Miami Beach deep sea fishing experience. And The THERAPY-IV has proven over its 45 years of experience that it is the best charter fishing boat option. So, you’ve decided to take the plunge and get hitched. Your friends may be upset that you will no longer be able to go picking up the ladies with them –but the consolation is that a bachelor party is imminent. Having an epic bachelor party is very important and the last thing you want is regretting not going big for the bachelor party. More and more bachelor parties are being celebrated with half-day Miami deep sea fishing trips. The time period, activity and possibility of catching a big-big fish has made deep sea fishing the hottest new bachelor party trend. The THERAPY-IV fishing charter yacht specializes in bachelor parties with its 58-foot boat, fantastic indoor bar, flat screen television and of course – the best fishing in all of Florida. Bachelor parties regularly pull in some of the biggest fish on their excursions. From Hammerhead Sharks to mega-tarpon, these fish become amazing souvenirs to celebrate a fun day on the water with your closest friends. The pictures are epic, and bachelors can get their big fish mounted to have a souvenir their whole lives for this incredible trip. Whether you are a local Miamian or visiting from out of town, stop by the Haulover Marina to go on a half-day trip on The THERAPY-IV to see for yourself why so many bachelor’s choose to have their extremely important bachelor party with them. For those Miami Marlin Fishing, sailfishing, shark fishing, tarpon fishing or other, a bachelor party on a big charter boat is always a great time. Some recommendations for a quality bachelor party include surprise trips, full day trips, two weekend trips and more. A surprise trip is great – many best men contact the employer of the groom-to-be and get them the day off: the groom-to-be then wakes up thinking he’s going to work and ends up deep sea fishing. A full-day trip is a great idea because it almost guarantees you will catch a really, really big fish. A multiple weekend trip is also a great idea. If your bachelor party is a full week in Miami Beach. The United States Army Special Forces, also known as the Green Berets, are called upon to defend American interests in some of the most dangerous situations in the most hostile regions of the world. Currently deployed throughout Afghanistan in Operation Enduring Freedom, the Green Berets have seen heavy combat and have been critical in maintaining US strongholds throughout volatile regions throughout the eleven-year war. As conflicts in Iraq and Afghanistan come to an end, many U.S. Army Special Forces soldiers are returning home. American civilians are welcoming thousands of soldiers-a-month and though welcoming organization and foundations are established to help returning soldiers assimilate and get grounded back home – there are plenty of things civilians are doing to enhance the welcoming for returning soldiers. Captain Stan and the crew of the THERAPY-IV welcomed Sgt. Greg Stube, on a Miami deep sea fishing excursion that was filmed for the television show “Coming Home with Sgt. Stube” televised on the popular Sportsman Channel. The show highlights positive sporting activities for soldiers returning from overseas. The trip was a success with Sgt. Stube catching a sailfish and his son Greg catching a fine barracuda. South Florida is known for its quality Miami sailfishing and these particular fish are some of the most exciting big fish game in deep sea fishing. The show includes amazing footage of Sgt. Stube catching an large sailfish and his son reeling in an aggressive barracuda. It also has interviews with the Captain of the THERAPY-IV for 45 years - Stan Saffan. The show highlights the importance of staying active with outdoors sporting activities for the mental and physical health of returning soldiers. Captain Stan is known for hosting military service people on The THERAPY-IV. They recently hosted a bachelor party for recently returned soldier from Afghanistan and make it a point to have service people enjoy themselves on their trips as a way of saying thank you. He donated his 58 foot boat for Fleet Week, donated a flag and flag pole to the Haulover Marina and donated an American flag mural which sits at the entrance of the marina. From sitting down at the table to communicating through social media - time spent with family has changed a lot over the years. Keeping traditions and creating new ones is what family is all about. We definitely suggest Miami deep sea fishing as a new tradition for your family. Whether your a father trying to get closer to a son trying to spend more time with your family, deep sea fishing is a half-day excursion that can bring you and your family closer together and give you unforgettable experiences and souvenirs. Here are the top three reasons deep sea fishing is a great family activity. Family time is nice, but too much can be stressful. The deep sea fishing excursion is half-a-day long so you can spend time seeing the beautiful scenery and catching some incredible fish like Marlin, Miami Sailfishing, Tarpon, Sharks and more. The amount of time spent on this deep sea fishing trip is enough to relax with your family, have some good conversations, catch amazing fish and drink some cold beverages and be back home with enough time for dinner. Deep sea fishing has its rewarding memories and rewarding souvenirs as well. Catch a large fish and you will not only get a great memory but also a great photo opportunity and the potential prize of a big fish that can be mounted. Pictures and memories are wonderful but a large fish mounted on your wall is the perfect prize to hold precious memories - and they look awesome. Fishing involves teamwork. Everyone on the boat will be able to fish but helping each other is an important part of fishing. Hooking the bait, reeling in the fish and pulling it up on the boat is something the crew helps with but everyone gets involved. Imagine a great picture of you and your whole family holding a beautiful sailfish. Sharks are often described as “Ultimate” predators or “Fierce” predators or a long list of menacing adjectives. This leads many to believe that they are dangerous to humans, which is true but in a very small sense. Sharks are more dangerous than most ocean dwellers but attacks on humans are so incredibly rare that their risk to us is miniscule. Sharks are magnificent creatures that deserve respect and all the work being done to protect their habitat and food sources. South Florida is known for incredible deep sea shark fishing Miami excursions to catch this ultimate predator. It is important to note that deep sea fishing for sharks is done responsibly and the real threat to their numbers is major commercial fishing that takes away their food source. Catching a shark is a once-in-a-lifetime experience. These animals are extremely aggressive inside and out of the water. Their speed, strength and cunning provided to them by their predatory instincts make them more difficult to catch than tarpon and other large fish lower on the food chain. Sharks are known for speed, cunning, aggression and of course – a majorly powerful bite. Some sharks bite at strengths equivalent to hundreds and even thousands of pounds of pressure. Feeling this pressure at the end of a fishing line is a humbling experience. As soon as they are hooked, reeling in these mega-creatures is a seriously difficult task. You quickly find out how fast sharks are when you catch them. You will see your line race across the ocean faster and with more agility than any boat can maneuver. South Florida in particular is known for its hammerhead sharks, nurse sharks and thrasher sharks. Hammerheads are some of the most exciting to catch. Being incredibly large bottom feeders, these sharks are difficult to find and catch, but are the ultimate prize for any deep sea fishermen. Hammerhead sharks and sailfish are the most commonly mounted fish and make for epic pictures on land or in the boat. Contrary to popular belief, catching sharks is not particularly dangerous – especially when done with trained professionals like the crew of the THERAPY-IV. Be sure to contact them for your next Miami Deep Sea Fishing excursion. Last night was the opening game for the Miami Marlins much anticipated 2012 season in their newly built stadium in the heart of Downtown Miami. After much controversy over the stadium being built, Miami residents seem to be rallying behind their team and incredible new stadium. Located on 42 acres of land (the old site for the Orange Bowl) it has 37,000 seats with a natural grass field and sleek retractable roof. There is no doubt that this year the Marlins are playing in style. Going Miami Marlin Fishing is also a great pastime among Floridians and one they should celebrate along with the opening season of Marlins baseball. The crew of the THERAPY IV are all Miami Marlin fans and experts at fishing for marlin off the coast of South Florida. Marlin are in the billfish family along with sailfish and sword fish. Marlin can be incredibly large and are known for their speed and unique physical characteristics. Billfish are abundant in South Florida waters and are incredibly fun to catch because of their amazing speed and dramatic leaps out of the water. If you’re enjoying the launch of the 2012 Miami Marlins season you should stop by Haulover Marina and take a trip to go Miami deep sea fishing on the THERAPY IV to bring your experience full circle. The Marlins have a brief but exciting history with South Florida. Their inaugural season around twenty years ago was quickly followed with a world championship (the 1997 Florida Marlins). Only six years later the Marlins would repeat this incredible feat by winning the World Championship again in 2003. The Miami Marlins are an incredible source of pride in the South Florida community and we are proud to call them our baseball team. Sharks date back further than land vertebrae and even most plant life. The earliest Sharks that are agreed upon by experts to be true Sharks go back to the Silurian Period almost 420 million years ago. They had an appearance very different from the look of a modern day Shark and only scale fossils have been recovered from these prehistoric creaturs. One of the most ancient and primitive Sharks is the Cladoselache from 370 million years ago, the fossils of this shark were found within Paleozoic Strata in Ohio, Kentucky and Tennessee. The Cladoselache was only about one meter long or 3.3 feet and had sturdy triangular fins and a slender build. A very interesting characteristic of the Cladoselache is that it is not believed that this Shark regrew teeth the way modern Sharks do. Almost all Sharks that lived within the years from 300 million years to 150 million years ago can be placed in two categories: the Xenacanthida and the Hybodonts. The Xenacanthida were almost exclusively fresh water Sharks and by the time they were extinct their population had spread worldwide. The Hybodonts lived mostly in the oceans but also in freshwater. The modern Shark dates back 100 million years. 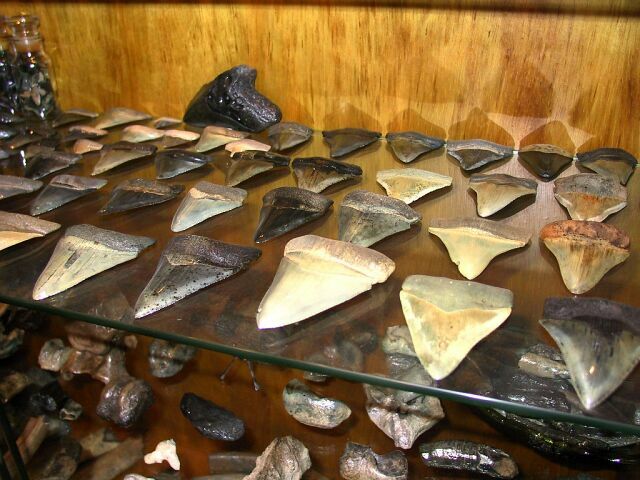 The earliest Great White Shark teeth have been found 60-65 million years ago around the time of the Dinosaurs. One of the most recently evolved Sharks is the Hammerhead Shark which can be found off the coast of South Florida in the Miami Deep Sea Fishing arena. The excitement of Shark Fishing Miami waters aboard the Therapy 4 fishing yachts is an experience unmatched by any tourist attraction. Hooking a fish that possibly lived millions of years ago is something you will never forget. Fishing for Tarpon starts out like any other Miami deep sea fishing trip on the THERAPY IV, one of the boats pulls out of the Hualover Marina dock and heads out to the inlet which is just minutes away. As soon as the boat gets to where the water is deep enough to catch monster fish like Marlin, Sailfish and yes – Tarpon the lines are cast and the adventure begins. So the question is – how do you know you have a tarpon on the line. Well first of all, Tarpon can massive fish that really put up a fight – so as soon as you feel that first tug, chances are you’ll know it’s a tarpon. Tarpon are known to leap out of the water while being reeled in. At that point, you’ll notice their slightly bland features. What’s really impressive about the Tarpon, rather than a flamboyant appearance like the Sailfish, is their incredibly massive size. Tarpon can be huge- upwards of 60 to 100 pounds. Some distinct features of the tarpon are their colorful scales and pronounced under-bite. Their lower jaw sticks out a couple inches past their upper jaw. Pulling in these huge catches is a workout, adventure and extreme accomplishment all rolled up into one rewarding experience. Surprisingly, these fish make good trophy fish as well. Typically you think of barracuda, sailfish, marlin as some of the best trophy fish, but the tarpon is equal if not better. Pictures with a huge tarpon come out great and are wonderful souvenirs for any experience or first time deep sea fisherman. Going Miami tarpon fishing is a once-in-a-lifetime experience many people have experienced aboard the THERAPY IV. It’s no coincidence that people looking to catch tarpon specifically experience that on the THERAPY IV. They are experts at catching whatever fish you’d like in the warm South Florida waters. Those looking to have Miami Sailfishing experiences, wahoo fishing, or tarpon fishing can trust the THERAPY IV to make it happen.